It’s Teachers’ Day. 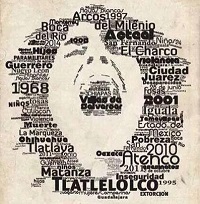 And in Mexico the teachers have been some of the most militant and vocal forces against privatization, government corruption, police repression and the failed drug war. 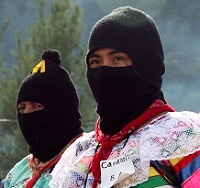 From May 2nd to May 9th the Zapatistas hosted a tribute to fallen comrades, a celebration, and a seminar to “provoke thought, reflection, critique.” On May 2nd and May 3rd 2015 the Zapatistas convened a welcome ceremony for the families of Luis Villoro Toranzo, and Zapatista Teacher Galeano, in homage to their lives and their struggles. This celebration inaugurated the seminar, “Critical Thought versus the Capitalist Hydra,” to which they asked its participants to bring “seeds” that they could share with others. 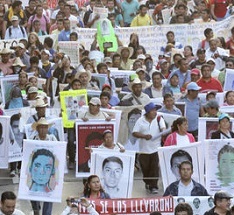 In their struggle to never forget, parents of the 43 missing young people from Ayotzinapa and students from the rural normal school have in recent weeks launched a vigorous and intense international campaign. 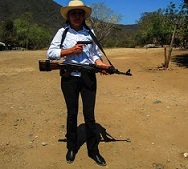 Two years have passed since the vicious assassination of Juan Vázquez Guzmán, community leader, spokesperson and social activist from the ejido San Sebastián Bachajón, Chiapas, Mexico. 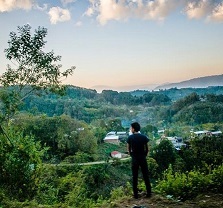 Despite the killing of two of their leaders and frequent attacks from local government-supporters and public security forces, the ejidatarios (common landholders) remain firm in their resistance to dispossession, and in their struggle in defense of their ancestral land, territory and Mother Earth. The situation has now become critical. 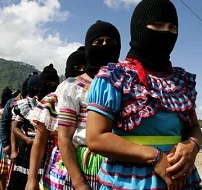 In Compañeras, Hilary Klein focuses in on the period around the time of the Zapatista uprising, which kicked off spectacularly on New Year’s Day 1994, as “a watershed moment” when “a tremendous amount of change was compressed into a very short period.” The book follows the development of the women’s struggle within and as part of the Zapatista trajectory over the ensuing 20 years. 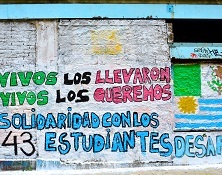 How a popular movement arisen from the forced disappearance of student-teachers in Mexico demonstrates a horizontal politics of shared leadership. 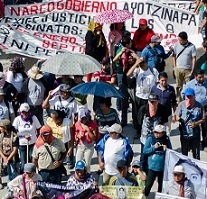 Since the forced disappearance in Iguala, Guerrero, of 43 Normalista students from the Ayotzinapa Rural Teachers College on September 26, 2014, hundreds of thousands of people have taken to the streets to demand that the students be returned alive and also to denounce political corruption and the “Narco-Government.” The Southern state of Guerrero has been the epicenter of these protests and a wide range of actions including citizen searches, takeovers of tollbooths, a statewide caravan and the burning of government buildings.